Ever noticed how mass-produced jewelry all look the same? Take a look at mass-produced jewelry and you’d notice right away that they all have the same styles. 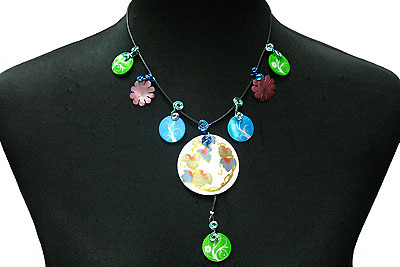 More often than not, they have a much simpler design compared to handmade jewelry. If you buy handcrafted jewelry, you won’t have to worry about seeing the exact same piece from someone else. Additionally, you will find more intricate and exquisite designs that showcase craftsmanship. Though handmade jewelry costs more than mass-produced pieces, we’ve got more reasons why you should consider buying more handcrafted jewelry. Eco-friendly. It is a guaranteed fact that mass-market production has always been one of the causes of pollution. There is a dangerous effect on nature no matter what different industries produce, be it jewelry or other types of chemicals. 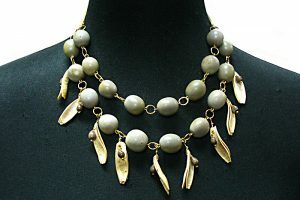 With handcrafted jewelry, work done by hand utilizes less energy which is more environmentally friendly. Contribution to the New Market Model. When you buy jewelry made by artists who worked so hard on their pieces, you support a new market model. This offers imaginative and determined individuals the will to be involved in the activity they love and would like to share with others. When you support independent artists who make high quality items at an affordable cost, you are able to make a difference. Get your money’s worth. Mass-produced jewelry, though more affordable, don’t give assurance on its durability. With handmade jewelry, you are guaranteed that there’s more time and effort invested in the process. The items are also made from durable materials. Hence, handmade jewelry lasts long than mass-produced pieces and you are sure that even if the price is higher, the items will last longer. Less waiting time. As jewelry trends continue to dominate the market, you will have to wait for local sellers to get your hands on the items. But with handmade jewelry, you need not wait a bit longer. Handmade items that were created today are readily available. Hence, you are the first to get the latest jewelry trends. Great Customer Service. It is more convenient to reach out to a small business and receive feedback from queries right away. When you reach out to larger corporations, it would take a bit of time to get a response. With small businesses, you can easily talk to the business owner to see if they’d be willing to make a custom item exactly to your requirement. These are just some of the reasons why you should buy handmade jewelry. It will not only benefit you but the world as well. Though they are a bit pricey, there’s depth and artistry in the jewelry making process. So, isn’t handmade jewelry a bang for your buck? Thank you. Let us know if we can be of any help.